Farndon Fields Primary School is celebrating after achieving a ‘Good’ status from Ofsted - the second highest rating possible. 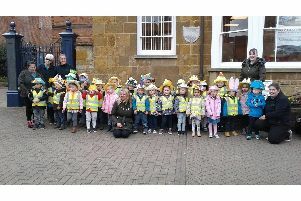 The school in Market Harborough already had that rating following its previous inspection in October 2012 - and inspectors, who visited on February 17, said they were happy that “the leadership team has maintained the good quality of education”. Headteacher Nikki Matthew said the school is “absolutely delighted” and that “everyone is very proud”. She added: “Ofsted recognised and praised the improvements we have made since the last inspection in 2012 and the report accurately reflects our school successes. All of the staff continue to work incredibly hard to ensure the children at Farndon Fields have the best provision in place. I am very proud of the positive comments made about the school throughout the report. “We pride ourselves on being a warm, friendly welcoming school with the children’s wellbeing at the centre of all we do. We also have high aspirations for all of our children to ensure they do well here.